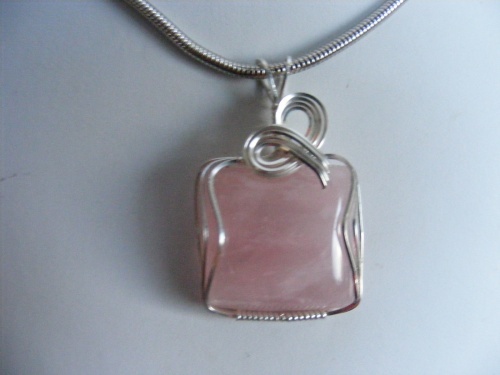 If you want to attract love, look no further than this romantic Rose Quartz pendant necklace. This beautiful pink gemstone is framed with luscious sterling silver curls. One of a kind pieces. Measures 1" wide and 1 1/2" from top to bottom. Comes with a sterling silver snake chain.